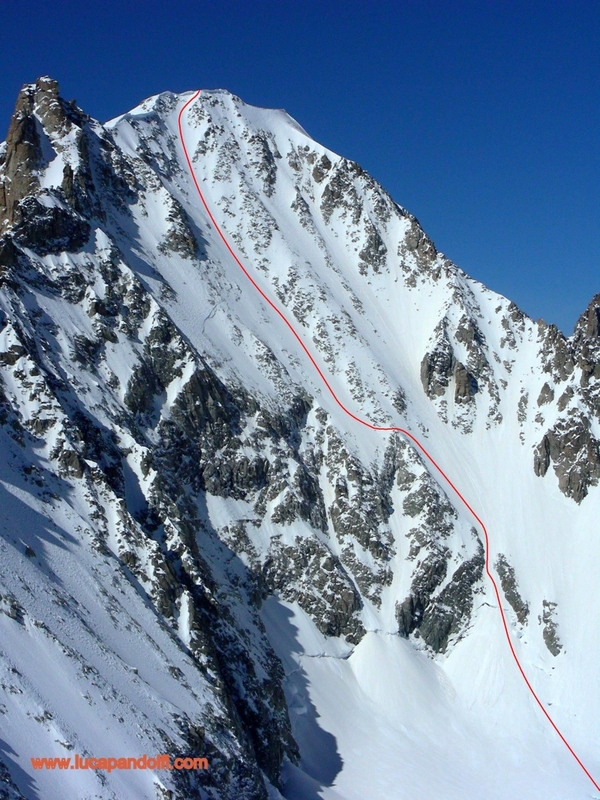 From the first time i saw this line from the top of Grand Lui it looked more aesthetic and appealing to me than the classic Barbey couloir on the looker right. 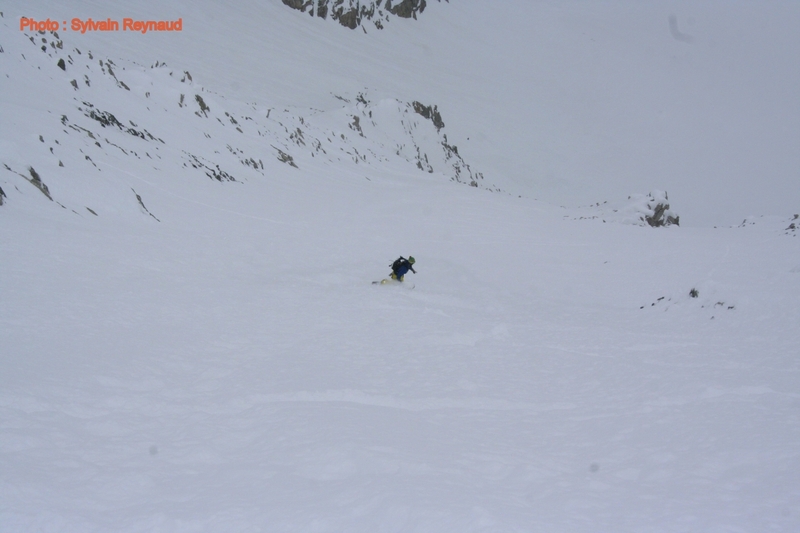 I wanted to take advantage of the last day the Grands Montets lifts were running but the north facing lines in the Argentiere basin were not looking too good (at least the ones i didn’t ride yet), so i decided to go and have a look at this line rarely skied. 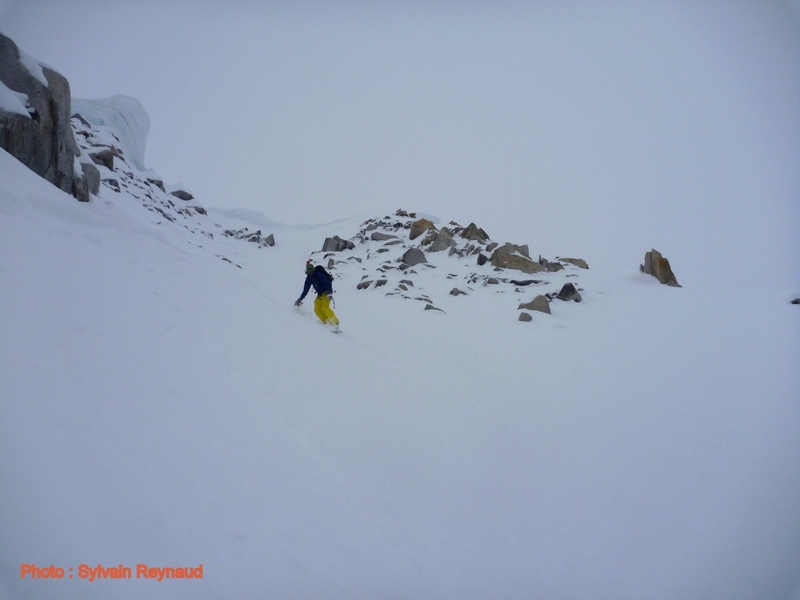 After a nice and confy night spent at the top of Grands Montets with few friends, i found myself the next morning at the top of the Aiguille d’Argentiere (we went up the Glacier du Milieu) with my friend Sylvain in a completely white out. 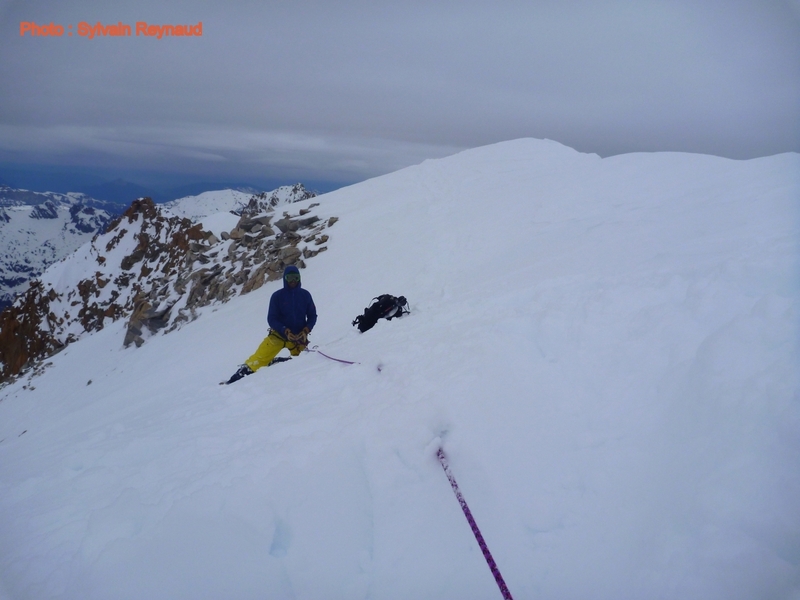 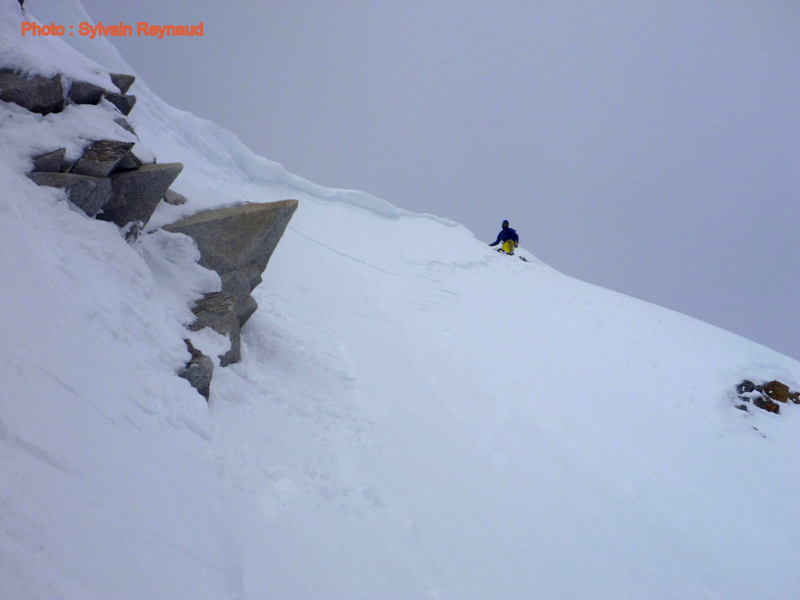 We waited for a window and lost almost one hour to find the entry between the massive cornices overlooking the east face. 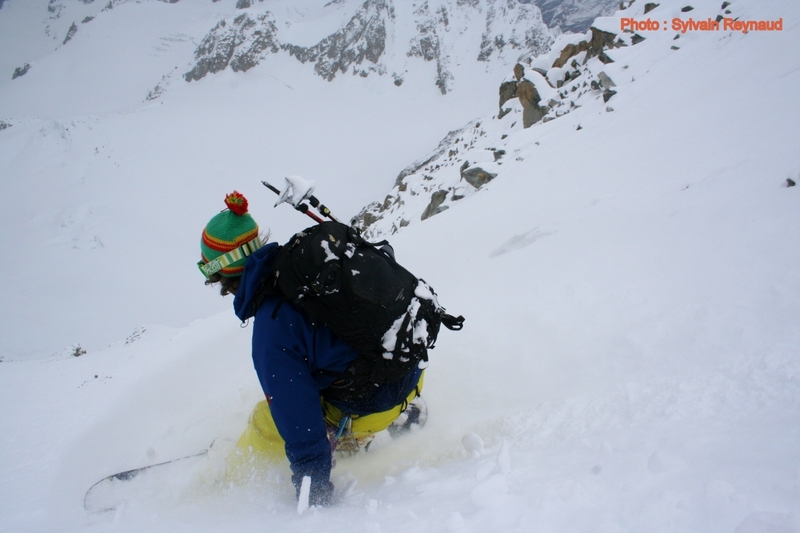 I belayed Sylvain entering into the face and checking the snowpack. 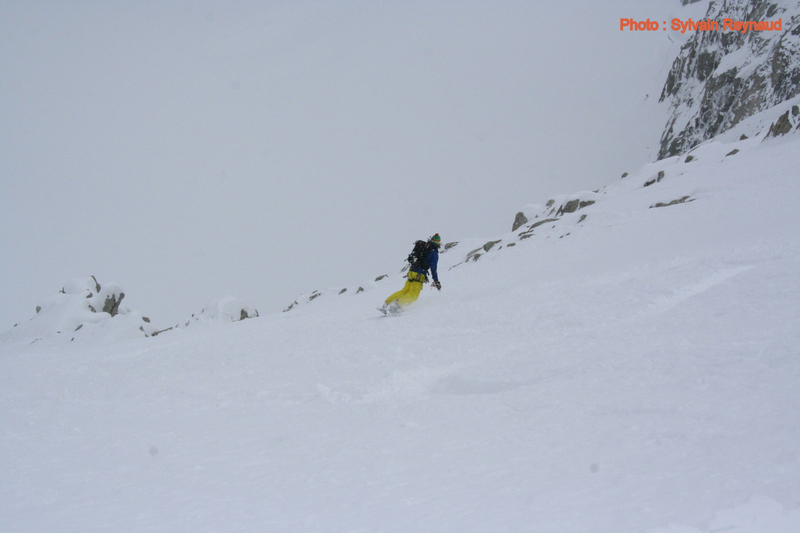 The first 50 meters are over 55° and pretty exposed. 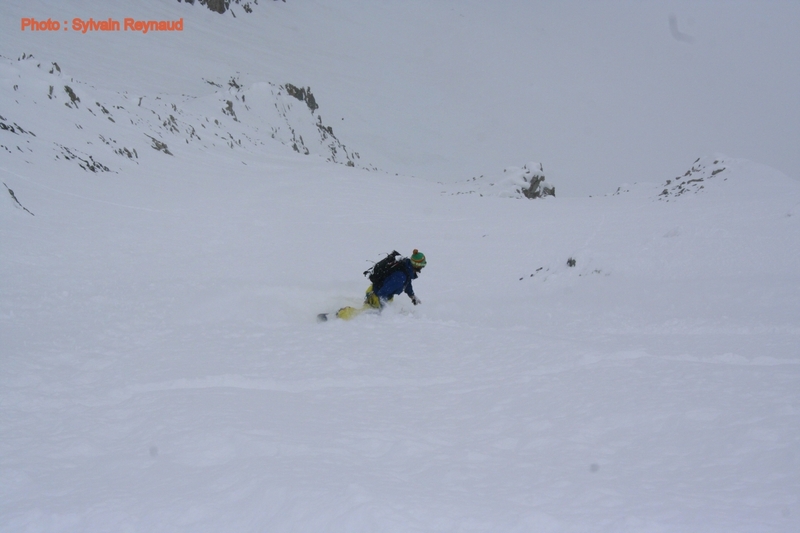 The snow was pretty good but a little bit skatchy on the first steep part (40 cm of compact powder sluffing away) and great after. 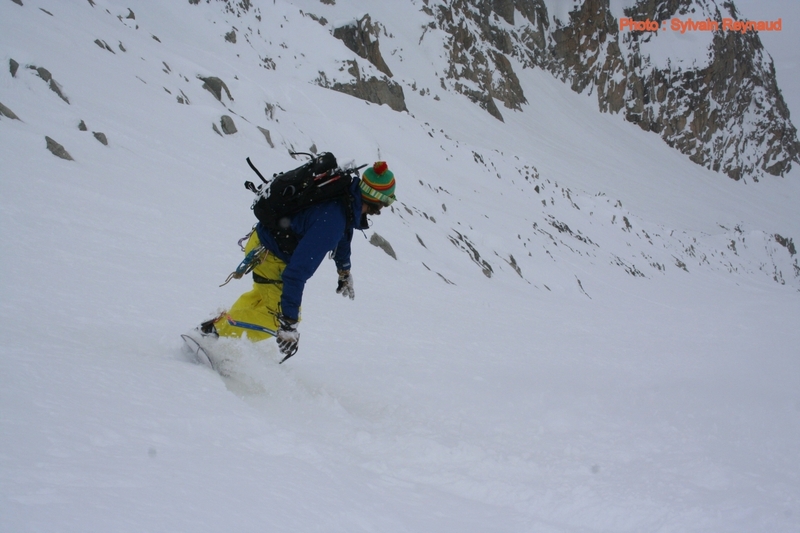 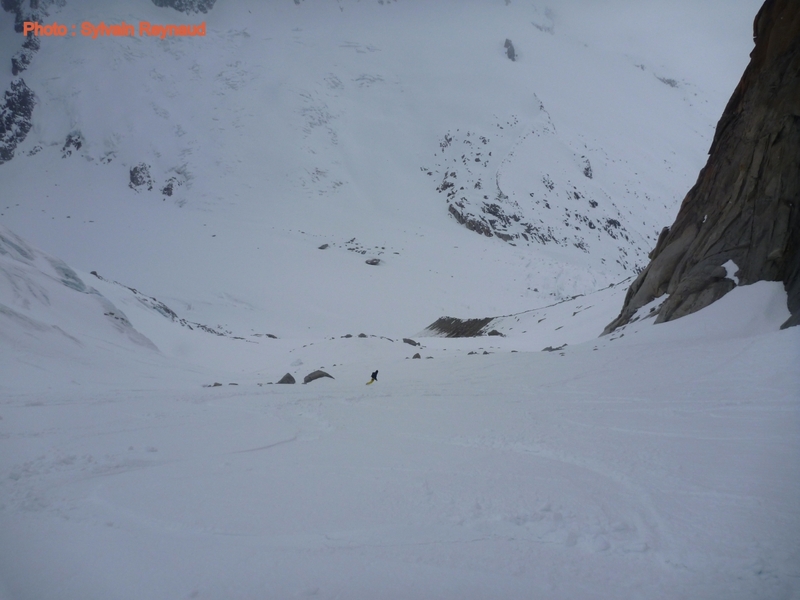 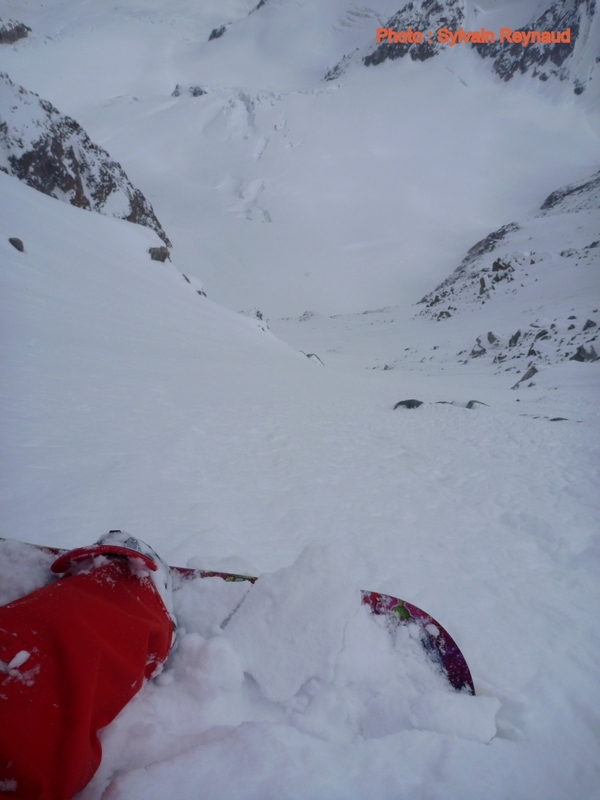 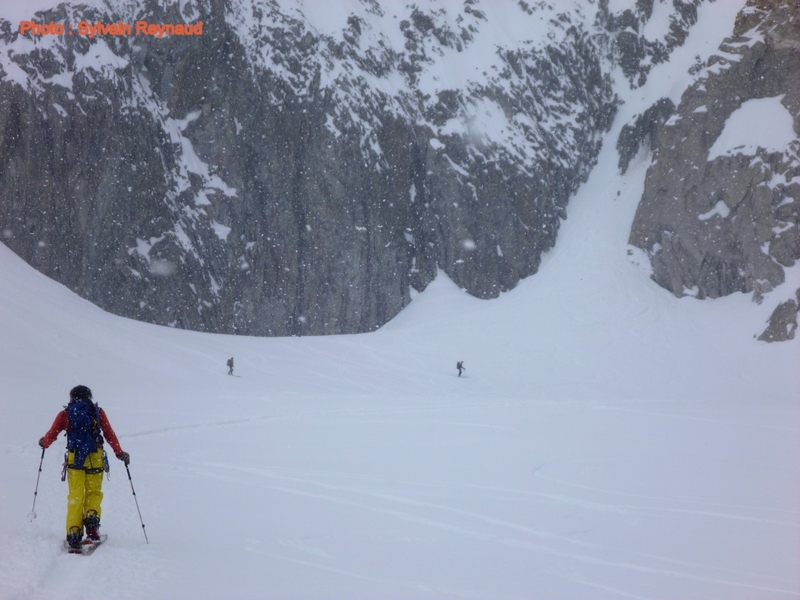 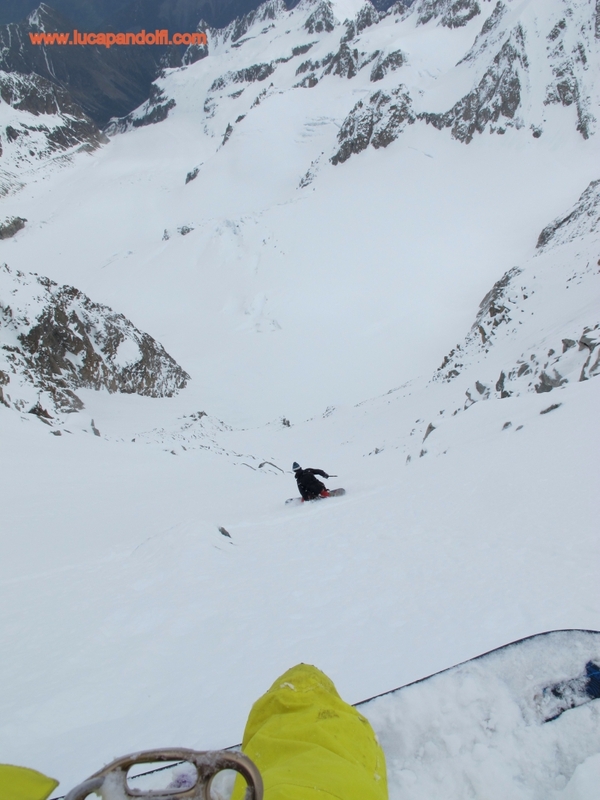 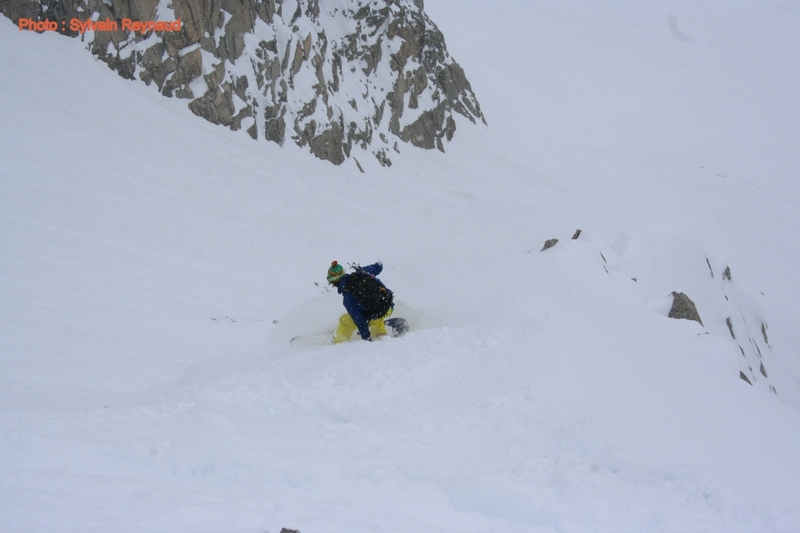 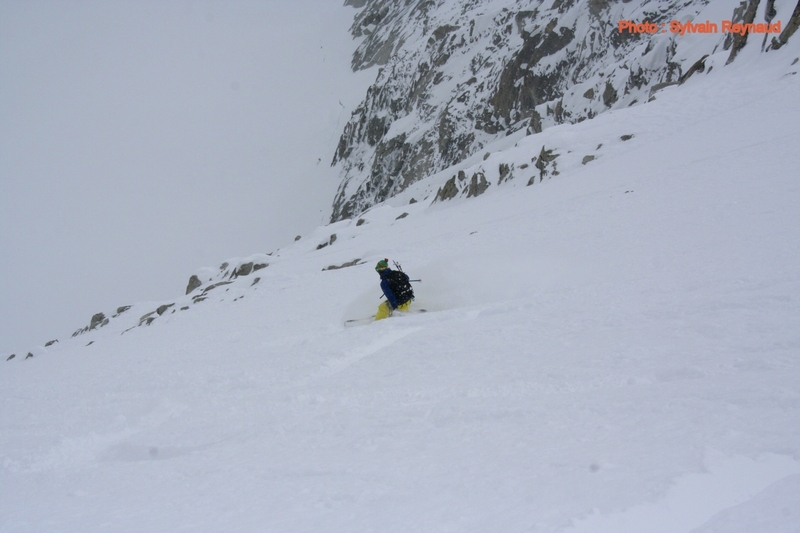 In the lower part we cut back left above the cliffs, reaching the bottom part of the Barbey couloir. 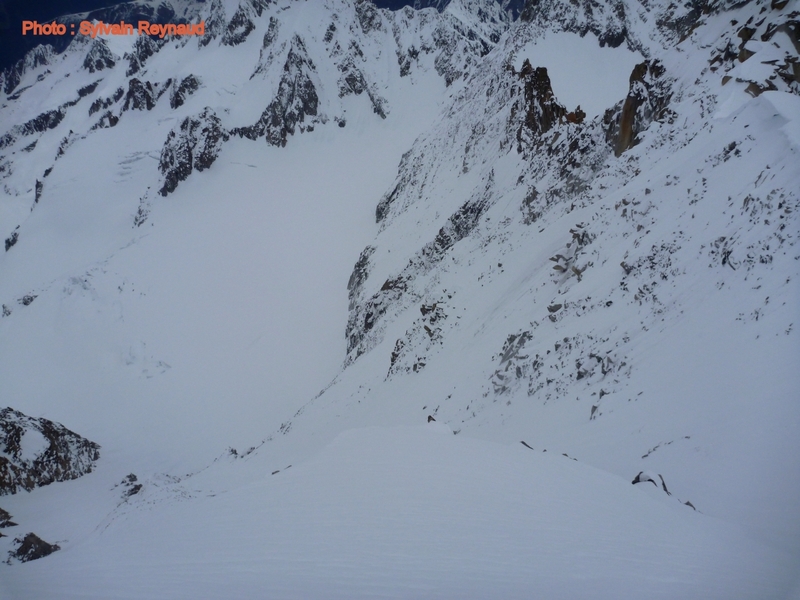 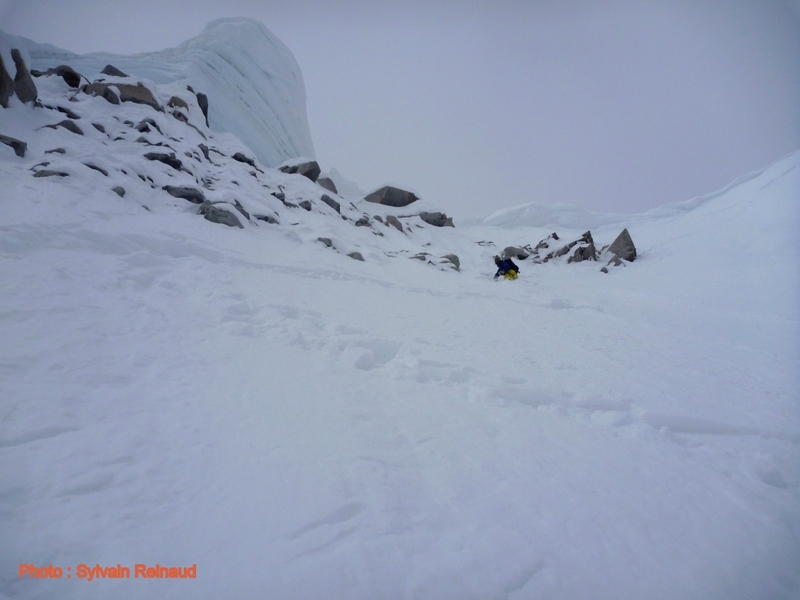 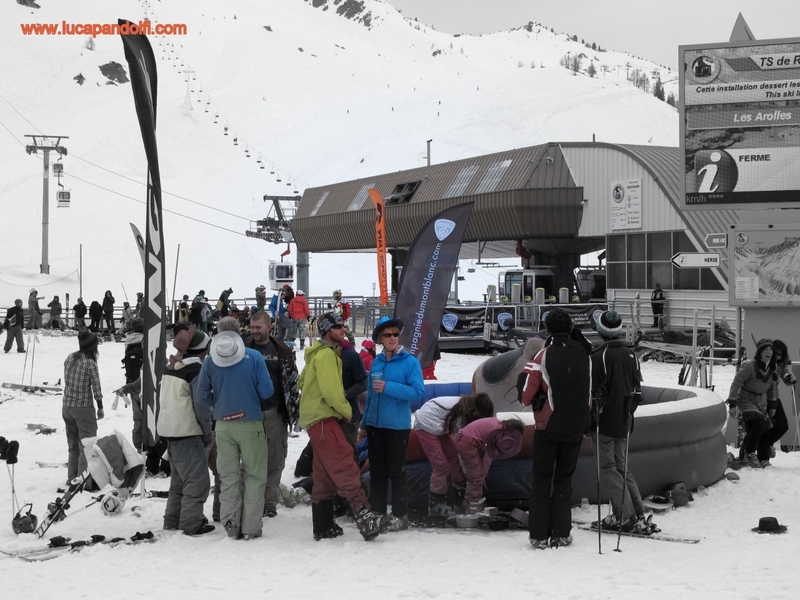 We came back via the col de Chardonnet (the snow down on the glacier was a perfect “moquette”) and enjoyed the last part of the End of season party that closed another great winter. 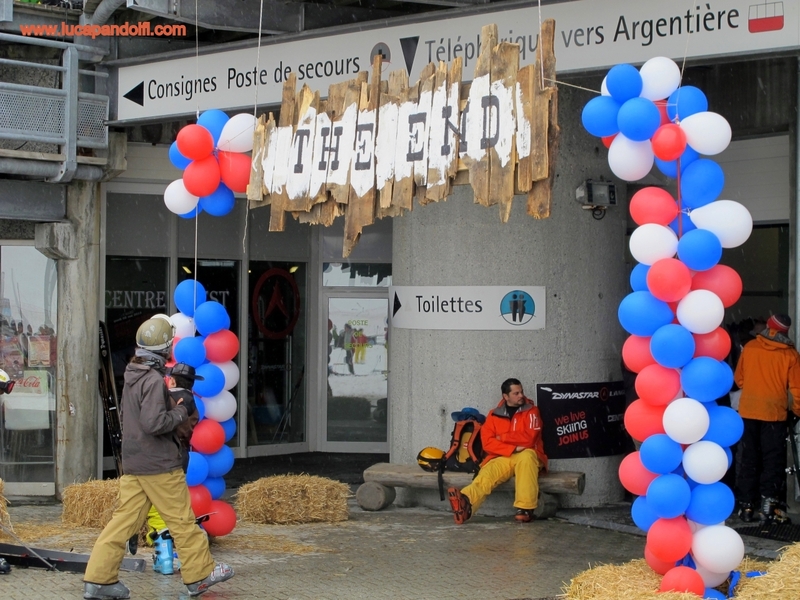 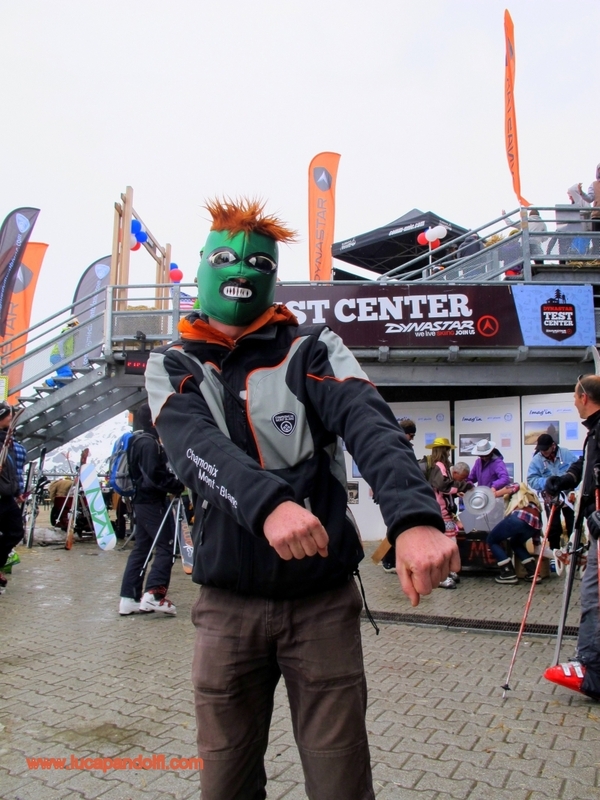 It is always fun to take part to the end of season mad party even if a bit sad. 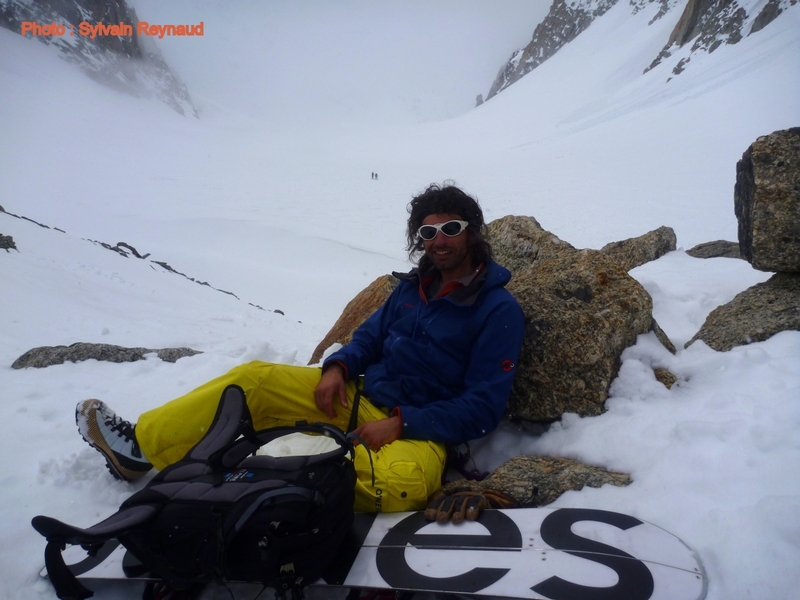 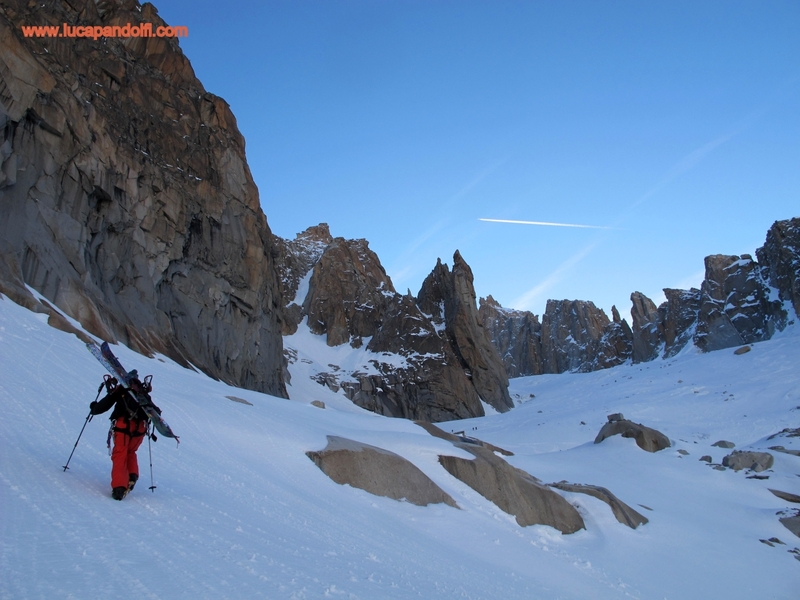 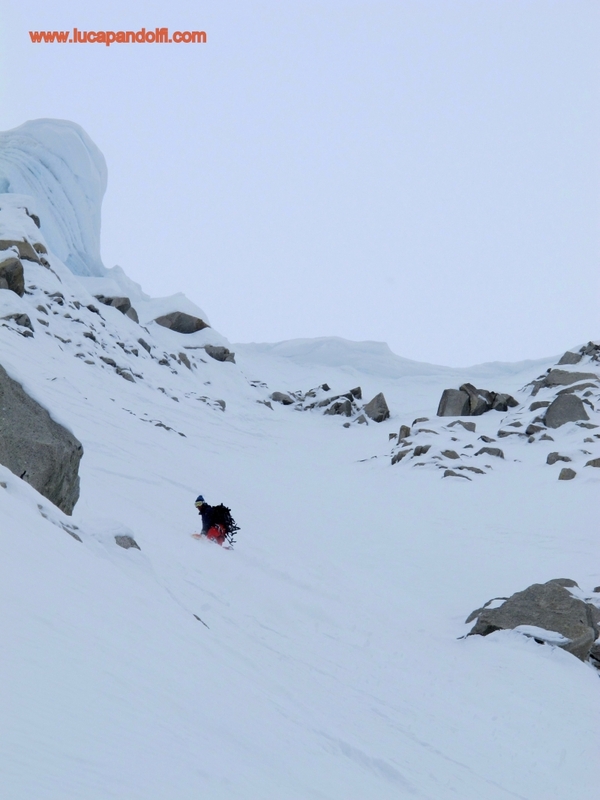 Thanks to everyone for the great days spent together over there; it is Aiguille du Midi north face sessions time now.